CG PET 2018 Seat Allotment Result (2nd round) has been released on 7th July 2018. Chhattisgarh Pre-Engineering Test (CG PET 2018) is a state level entrance exam. This entrance test is a gateway for the students who wish to get admission in engineering and its branches (Dairy Technology and Agriculture Engineering). 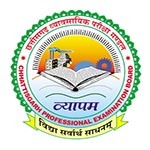 CG PET is conducted by the Chhattisgarh Professional Examination Board (CPEB). This board is also known as the CG Vyapam. Through this article, applicants can avail the information of CG PET 2018 answer key, result, cut off, counselling, etc in detail. CG PET 2018 Counselling (2nd round) has been started from 2nd July 2018. Check here for counselling details. CG PET 2018 Seat Allotment Result (1st Round) has been released on 25th June 2018. Check here for seat allotment details. CG PET 2018 Counselling Registration can be done till 23rd June 2018. Check here for counselling details. CG PET 2018 Final Answer Key has been released on 19th May 2018. Check here for answer key details. CG PET 2018 Admit Card has been released on 25th April 2018. Check here for admit card details. CG PET 2018 Exam Date has been revised. Now, the exam was organized on 3rd May 2018. Check here for exam date details. CG PET 2018 Application Form can be filled till 5th April 2018. Check here for application details. CG PET 2018 Notification has been released now. Check here for notification & exam dates details. The counselling has been started from 14th June 2018 through online mode. Applicants are informed to check the leading and local newspaper on a daily basis for the counselling schedule. No call letter will be sent to the applicant individually. The counselling is held online and applicants can check the counselling schedule on the website. Before proceeding with the seat allotment procedure, applicants have to verify their documents. Applicants have to present in person at the verification centre. Applicants can check the answer key after a few days of the examination. The Chhattisgarh exam committee publish the model answer key on the website. The answer key has been published on 12th May 2018. Applicant can claim the answer in case any answer in the answer key is incorrect. The final answer key has been released on 19th May 2018. The CG PET result has been declared on 19th May 2018. A separate merit list is prepared by the Chhattisgarh exam conducting committee, according to the rules framed. Applicants can check their result on a website and can take a printout of the result. After the declaration of result, applicants can get their score card. There is no provision for re-evaluation/scrutiny. Question: What is CG PET stand for? Answer: CG PET stands for Chhattisgarh Pre-Engineering Test. Question: When can I access the application form? Answer: The application form was announced from 15th March 2018. Question: Which mode is available for filling the application form? Answer: Candidates can fill the application form through online mode only. Question: How much I have to pay for accessing the application form? Answer: The application fee was Rs. 200/- for General category, for OBC Rs. 150/- and for SC/ST/PH Rs. 100/-. Question: By which mode I can pay the fee? Answer: You can make the payment through net banking or by downloading bank Challan. Question: Can I correct the mistakes made by me in CG PET application? Answer: Once the application form was submitted, no changes can be done. Question: What is the eligibility criteria for engineering? Answer: For engineering courses, candidates must qualify the intermediate or equivalent from Chhattisgarh board or equivalent board with minimum marks 50%. Question: How many questions will be asked in the CG PET 2018 exam? Answer: There will be total 150 questions in the examination. Answer: You can check complete exam pattern in the above section of this article. Question: Is there any provision for negative marking? Applicants have to enter their valid Aadhar no./PAN card no./A/C no./Driving License No. in application form. The application form was released from 15th March 2018. The application fee is Rs. 200/- for General category, Rs. 150/- for OBC and for SC/ST/PH fee is Rs. 100/-. Domicile Eligibility: An applicant must have the domicile of the Chhattisgarh state. Qualifying Exam: Applicant must passed 12th class from Chhattisgarh board or equivalent board. Minimum Marks: Applicants must passed 12th examination by securing 50% marks in PCM & English (40% for SC/ST/OBC). Appearing Candidates: Final year students are also eligible to apply. They must have to pass a qualifying exam before counselling. Age: The applicant must complete the 17 years of age as on 31st December of the 2018. Qualifying Exam: Applicant must qualify the 12th or equivalent from Chhattisgarh board or its equivalent board. Subjects: The necessary subjects in which applicant must qualify the qualifying exam are Mathematics, Physics, Chemistry and English. Appearing Candidates: Final year examination appearing students can also apply. Applicants those applied for CG PET exam, can get their admit card from website. The admit card has been released on 25th April 2018. Applicants have to enter their registration ID to access the admit card. Applicants have to bring one photo ID proof (voter ID/driving license/PAN card/or any other ID) in which the photo of the applicant is attached. Without ID, no applicant will allow to enter the examination centre. Applicants have to preserve the admit card till the process of counselling gets over. Shift: The exam will conduct in two shifts, i.e. one in morning and second in afternoon shift. Marking Scheme: There will be four options from which you have to choose only one option. For every correct option 1 mark will be given. Applicants are advised to study the class 12th whole syllabus for getting best score. The syllabus will be provided on the website by the CPEB. Applicants have to cover the subjects such as Physics, Chemistry, Mathematics and English. Applicants should prepare according to the courses opted by them. For any further queries related to CG PET 2018, you can ask us by leaving your query below. If one gets allotted in his 1st choice and wants to take admission in 2nd choice in another college then…..
Can participate in second counselling. or GEC, Raipur for EEE. please reply soon. Sir if any student placed in compartment exam in class 12, can he or she take part in cgpet councilling process 2018. Mera category rank 1500 h..
Mera rank 2500 me h to kya mera name pet me aa skta h?? mera ovrall rank 15230 and category rank 1954 cost ST hai counsiling list me name aa sakta hai?. Is is possible for one to get entrance in engineering colleges without appearing in PET exam? Dear Sirs, PET exam fees Rs.200/-dt. 04.04.2018by SBI successfully deduct , and i recd. message, but showing in payments details blank? kindly guide how can download my admit.card of PET2018. Your payment of Rs. 200.00 for registration ID, PEP181005192870, for PEP18 has been received successfully. I have applied for cgpet 2018 two forms as the paymenw was not successful but after some time I received the message that my both payments are successful, now which one should I use for getting admit card. First one or the second one. प्लीज guide me. sir I really want to apply for the exam,suggest any way I cold do so this year itself. There was some interruption during the fee payment of cgpet 2018 and it was unsuccessful. When I tried again to fill up the fee again the link was not opened. Kindly let me know how to fill the amount? Yes, it will be refunded. Mera pet exam ka form cancel kaise ho gya jbki pay fee or documants sb success ho gya?? Sir Exam me questions 10 th or 12 th class ke base pe aayega ya other se bhi deta hai?? caste certificate (OBC) of any other state is valid or not for cgpet? I have domicile of other state.I am leaving in Chhattisgarh since last 15 years and appearing for 12th from Chhattisgarh. Shall I appear for CGPET? Sir,I am from Jharkhand so can I apply for CG PET. Sir I came to know that PET will be closed from this year and there will be only JEE Mains in place of Cgpet…..
Any official detail regarding this has not been released yet. No official notification released regarding this. how do u know that,,?? Applicant must have the domicile of the Chhattisgarh state to apply. Up students eligible or not. sir, for the photo id proof can we show our 10th marksheet. i am having my adhaar card but in that my 6th class photo is there so it will run or not. no, you have to update adhaar card. The exam date not released yet. But i have obc certificate of jharkhand. sir i m from bihar. can i apply for CGPET ? Sir me 12th class me hu meri age 17 complete h ky me from bhar skta hu?? ?